Access Sponsors feature to add the list of your sponsors with their detailed profile information. 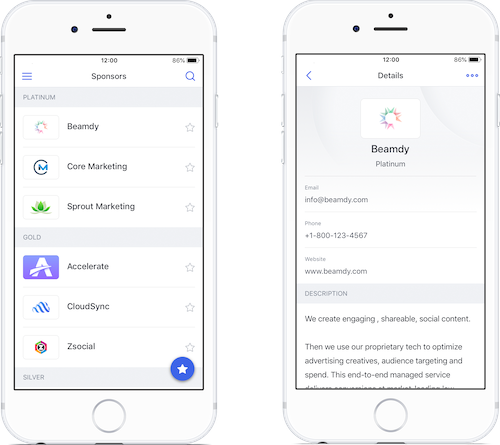 The Sponsors feature offers a simple way to add a list of sponsors to your app. Add as many sponsors as you need with detailed profiles including logos, profiles, document attachments, contact information and more. Start by clicking “Add Sponsor”. A new window will appear where you can enter all the details for your sponsor as prompted. As long as photos meet the minimum size requirements (180x120 PNG or JPG), you can zoom & crop them easily. 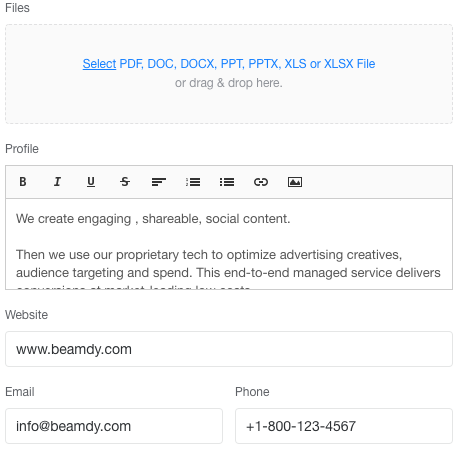 You can attach documents to sponsor profiles (these can be files in PDF, PPT, Excel, and Word format), add a short bio and their contact details. 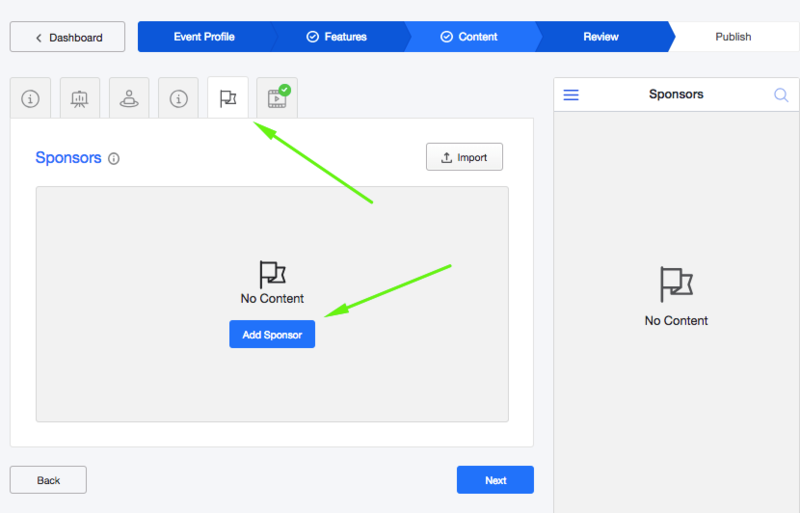 If you have an event published to the Attendify app or your own branded container app, you can also feature the Sponsor on the event profile page. Here is more info. Don't forget to hit Save at the bottom of the pop-up window to save the sponsor. 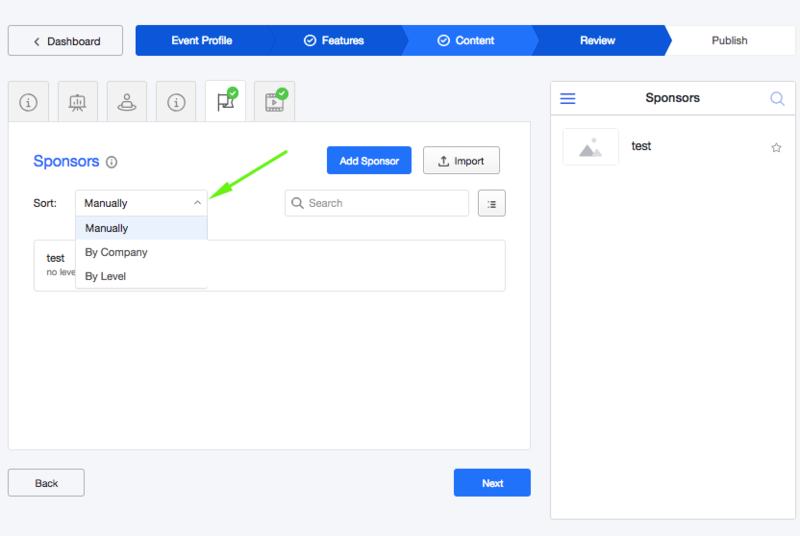 Sponsors can be sorted by level or company name, as well as manually. Please note that you can update content instantly, anytime, even after your app is published. There is no limit to the number of content uploads through XLSX files. How will it look like in the app? Check here to learn how you can promote your event sponsors in the app. 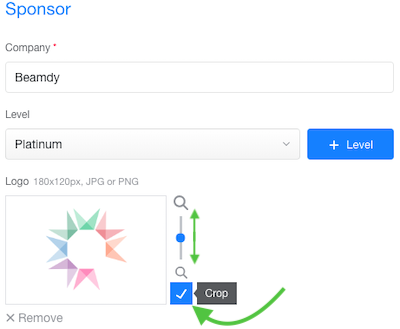 Check here to learn how to create a Sponsored Post in the app.